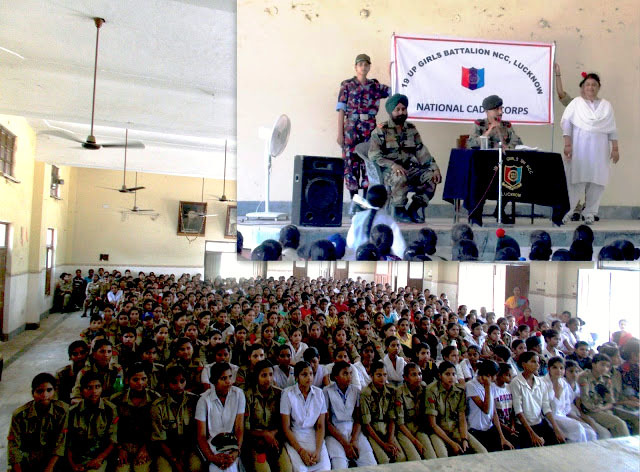 NCC summer camp was started on Saturday 13th June. the cadets of 19 UP girls battalion reached at a school campus, Sanskrit Pathshala, Lal Kurti under Cantonment area, Lucknow Sadar. More than seven hundred girl cadets, including some from the Junior Wing, were there. Mr. H. Mirza is the commanding officer of the girl comrades. N.O. (NCC Teachers) from their respective schools and colleges were present as the female warden on duty to care these girls. According to the C.O., the cadets are trained for yoga in the morning, and other training are given thereafter. According to the commanding officer,The area where the training camp billeted is fully safe, and the foods in the pantry has been selected such by the command that can not harm when they have it.